Elementary Matters: The Class Blog! We've had our class blog up for a couple of weeks now, and we're all loving it! I have found it to be very motivating, not just for kids to write, but for kids to write at a higher quality! We have brainstormed a list of things the kids could blog about, and during Writer's Workshop, the children can choose from the list or come up with an idea of their own, write a blog post on paper, and submit it for posting. 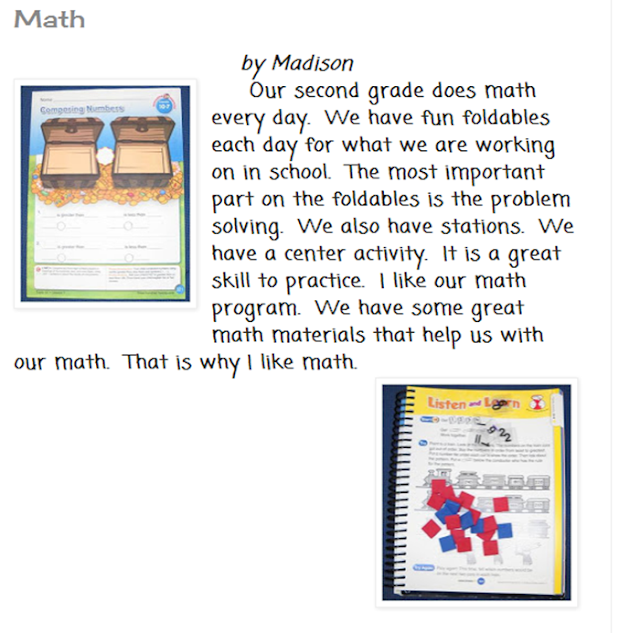 Madison has submitted a few posts for the class blog. She's got a couple in the editing process. Alison has also submitted several posts. I typically try to take a photo or find a picture, but I felt this particular post didn't need any photographs! We've worked quite a bit on writing paragraphs with an introduction, details, and a "sum it up" sentence. I think they're getting pretty good at remembering all the parts! Click image to download freebie. 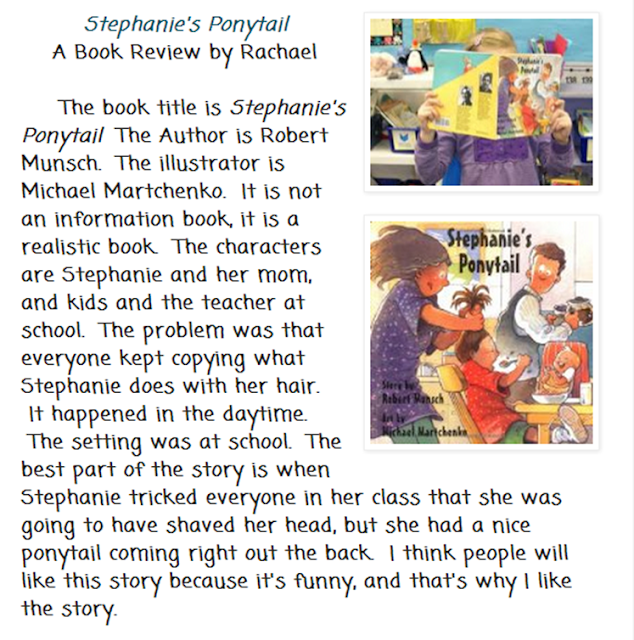 I had the children tell their review to three different partners. Partners were to ask questions for clarity. 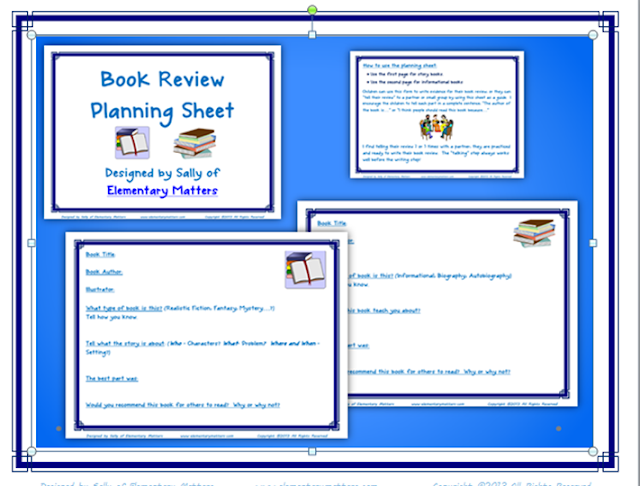 They were encouraged to answer each part of the planning sheet in a complete sentence while they told their review. I also suggested that each time they told it, it should sound more and more interesting. Then they sat down to write. After telling it three times, the words just flowed onto the paper, and their reviews were awesome! Who doesn't love Mr. Hatch? 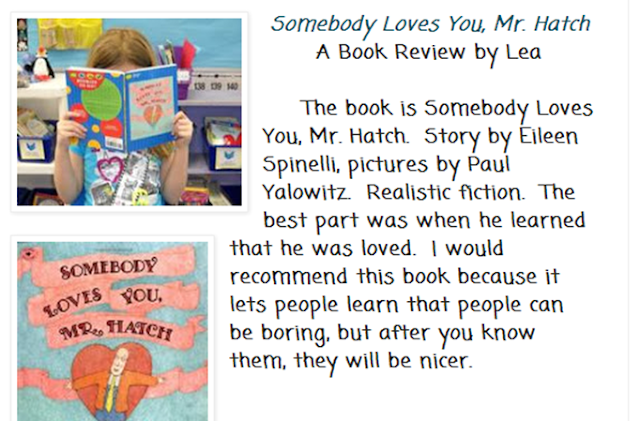 Lea did a great job with her first book review! Omg, Sally! Seriously?? This is freakin amazing!! I feel like a slug now. I really, really should do this with my gifted kids. they would love it! I have 7 weeks left, think it's too late? ?